Here you can browse through the resources from previous events. Please contact us if you cannot find what you are looking for. In this practical and interactive 1 day training, there were 3 workshops provided on the day to equip participants with relevant tools and resources. • Anchoring disability inclusion at an organisational level. If you are having trouble seeing photos from the day, click here. Michael Auton Consultancy in a partnership with Sub-Sahara Advisory Panel (SSAP) recently ran a one-day fundraising course exploring a range of income generating activities. - Developing a funding strategy for your charity. - Exploring funding opportunities through grant making trusts. The Department for International Development's (DFID's) Small Charities Challenge Fund (SCCF) supports Britain’s small not-for-profit groups, to scale-up and increase the reach and efficiency of their projects. Since 1992, the United Nations International Day of Persons with Disabilities (IDPD) has been annually observed on 3 December around the world. The theme for this year’s IDPD is “Transformation towards sustainable and resilient society for all”. This theme focuses on the enabling conditions for the transformative changes envisaged in the 2030 development agenda for Sustainable Development. This event was organised in partnership with Disability in Wales and Africa (DWA). If you would like to watch the film 'The Unknown' which was screened during the second session, it is available on YouTube. If you missed out on this years' Health Conference on Strengthening African Health Systems at the SWALEC Stadium in Cardiff here's some information about the day. Keynote speakers included the Cabinet Secretary for Health Wellbeing and Sport, Vaughan Gething, Chief Nursing Officer Prof Jean White, Dr David Counsell of Besti Cadwaladr University Health Board, Prof Anthony Redmond CEO of UK-MED, Allison Williams CEO of Cwm Taf University Health Board, Prof Mark Bellis of Public Health Wales, Julia Downing CEO of the International Children's Palliative Care Network and Prof Yoswa Dambisya, Director General for the East, Central and Southern Africa Health Community. On the day we recorded the presentations in the plenary sessions to see them again, visit our Youtube Channel. We were delighted to hear the commitment from the First Minister, Carwyn Jones and all the main political parties in Wales to the ongoing work of the Wales for Africa Programme. This event at the senedd was day of solidarity and celebration. The event provided an opportunity for individuals and organisations to share knowledge, information and experiences in International Development. Wales-based development organisations doing International Development or Fair Trade activities had stalls to exhibit their work. We were delighted to welcome the Uganda High Commissioner, Her Excellence Prof Joyce Kakuramatsi Kikafunda. Wales-based development organisations working in Uganda had stalls to exhibit their work. This was a participatory training session that incorporated disability at it's heart. Delivered by members of Disability in Wales and Africa, the session looked at the constant changing and evolving policy and practice in disability-inclusive development. It looked in particular at the deeper questions: of the relationships and representation of people with disabilities within our work; and how to partner with Disabled Peoples Organisations (DPOs) to achieve transformative, systemic change in the countries where we work’. If you missed our Grants Webinars or would like a reminder of our grants process and some of the key areas to consider when writing your grants application click here for a recording of the session. The Sub Sahara Advisory Panel teamed up with the African Foundation for Development (AFFORD) at the Temple of Peace in Cardiff to launch their Comic Relief funded Diaspora Finance and Investment (DFI) to support UK registered diaspora businesses initiatives. The event was followed by an afternoon panel discussion on diaspora investment and enterprise in Wales and Africa. If you missed out on this years' Summit at the Liberty Stadium in Swansea, or wanted another look, here's an outline of the day. Keynote speakers included the Minister for Skills and Science, Julie James, who provided an overview of the 10 years of the Wales for Africa programme, Cat Jones Head of Hub Cymru Africa on 10 years of partnerships, Nassra Juma Mohamed, the Zanzibar Women's Football Team Head Coach who discussed women's empowerment through sport and Peter Di Campo who introduced his Everyday Africa project - a current take of what the continent looks like through images and how this is challenging perceptions. There was also a question and answer (Q & A) session with the Future Generations Commissioner Sophie Howe, looking at how the Wellbeing of Future Generations Act is relevant to International Development in Wales, as well as a Q & A session with a range of development professionals looking forward to the next 10 years of Wales - Africa work. If you missed out on this years' Health Conference at the SWALEC Stadium in Cardiff here's an outline of the day. Keynote speakers included the Cabinet Secretary for Health Wellbeing and Sport, Vaughan Gething who opened the conference, Mike McKirdy Vice President of the Royal College of Physicians and Surgeons in Glasgow who spoke about Global Health Partnerships in Scotland, Ben Simms CEO of THET and the visiting Prof Osmund Mwandemele form the University of Namibia. We were pleased to welcome the Kenyan High Commissioner, His Excellence Lazarus Amayo and the Tanzania Deputy High Commissioner, Mr Msafiri Marwa to meet Wales Africa activists and members of the diaspora community. The event provided a platform to share and exchange knowledge, information and experiences in International Development. Welsh-based development organisations had stalls to exhibit their work. Hub Cymru Africa and the Welsh Centre for International Affairs (WCIA) brought you the Youth International Development Summit at the Urdd Residential Centre, Cardiff. 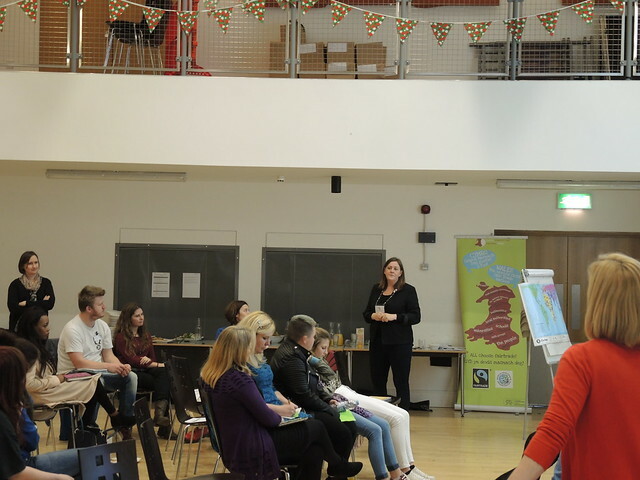 We ran a series of workshops with youth organisations on; delivering global youth work, volunteering in Wales and Africa, how to get involved in the sector and how to influence local AM’s and MP’s. The day ended with the final of the Wales Schools Debating Championships at the National Assembly of Wales which was kindly sponsored by Julie Morgan AM. The Millennium Development Goals largely ignored the needs of disabled people around the world. However the new Sustainable Development Goals (SDGs) seek to ensure the same mistake is not made again. We ran activities and heard from partners in the sector from Wales and Africa as well as looking at good practice and lessons learnt and discussed how we can help find a way forward for disability inclusive development. John Griffith AM kindly sponsored the event. Wales has a vibrant International Development Community, much of it focused on sub-Saharan Africa. Many groups function on small funding streams and good will, and do a good job. But can we all do better? Can we do more, thinking and aiming bigger? This is European Year of Development (EYD) and the world’s new Sustainable Development Goals have been launched by the United Nations. This event also had a 'market place' to showcase the latest development innovations here in Wales, from the Raspberry Pi project in Zambia to the medical kit being used in Namibia. The event was arranged by Hub Cymru Africa in partnership with the Cardiff University Phoenix Project, The European Commission in Wales and Bond. If you missed out on Hub Cymru Africa's Diaspora event, we discussed a range of topics and had a series of engaging discussions. During part one, we discussed the Millenium Development Goals (MDGs) and the shift towards the new Sustainable Development Goals (SDGs) and what this means in a Welsh context (the Well Being of Future Generations Act) along with a panel that included (Welsh Government, Wales for Africa, Fair Trade Wales, Friends of the Earth & Steve Howell). 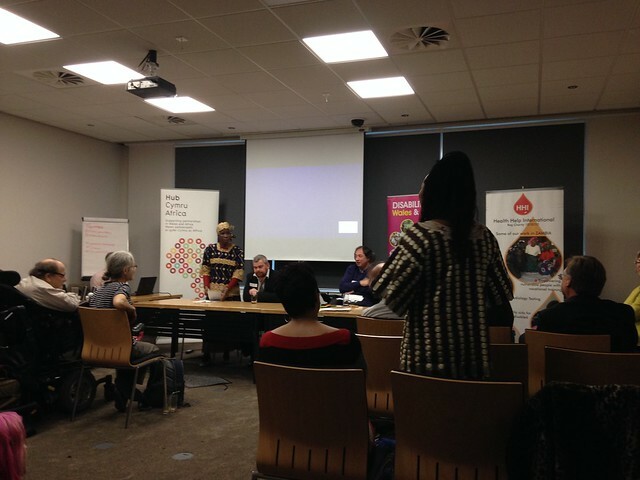 During the second half of the event, we invited the Department for International Development (DFID) to discuss their Civil Society Review and for some of these organisations in Wales to answer some of DFID's key questions. If you would like to contact DFID about this, click here. If you missed out on this years' Health Conference at Cardiff Met University, you can download the annual report here. Keynote speakers included the First Minister Carwyn Jones who opened the conference, Lord Nigel Crisp who spoke about Sustainable Development and the visiting Dr Grace Kodindo, who spoke about her experiences, challenges and successes of working in maternal child health in Africa. We hope you enjoyed our launch event on the 23 June. At the event we discussed our vision for the organisation and formally launched our grants programme. The event at the Millenium Stadium was opened by the First Minister Carwyn Jones and included speeches from Cat Jones and Dr Mwenya Chimba. Here's a montage of some of the photos taken on the day along with the voices of the Aber Valley Male Voice Choir. For more information about our grants programme click here.